What Is the Difference Between 3-Slot and 4-Slot Dryer Outlets? Gas clothes dryers and electric clothes dryers have much different electrical needs. A gas dryer has either a natural gas or propane gas connection point in the rear of the dryer, and the electrical service does nothing more than operate the motor that spins the dryer compartment. The heat for the appliance is provided by gas. Gas dryers, therefore, use a simple 120-volt outlet with an electrical plug that looks pretty much like any other small appliance. It's a different matter for dryers in which the air is heated by electricity. These are 240-volt appliances that use electrical plugs that look very different. 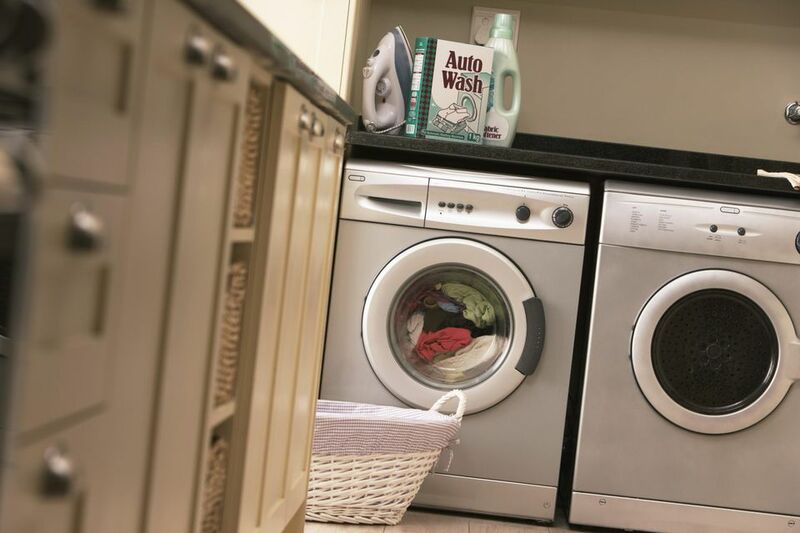 These appliances plug into dedicated 240-volt electrical outlets designed especially for dryers. There are two ways that electrical clothes dryers can be powered by 240-volt circuit: with a 3-prong cord plug that fits into a three-slot outlet, or a four-prong plug that fits into a four-slot outlet. You may have either type of dryer outlet in your home, depending on the age of your home's electrical installation. Before the year 2000, most dryer outlets were three-slot; since then, the Electrical Code has required four-slot outlets. This is a safety measure that provides a true neutral pathway to the circuit, in addition to the grounding pathway. Most new dryers now come with four-prong plugs, but they can be converted to use three-prong cords to fit older dryer outlets. Some dryers, though, are sold without any cord at all; you are left to buy and install whatever cord fits the dryer outlet you happen to have. A three-wire dryer outlet has two "hot" slots and neutral/ground slot. This is designed to fit older dryers that have cords with three-prong plugs. In newer installations, the dryer outlet has four slots, with two "hot" slots, a neutral slot, and a grounding slot. And this outlet is designed to fit newer dryers equipped with four-prong power cords. Legally, you are allowed to continue using older three-slot dryer outlets, but you will need to convert the dryer to a three-prong cord if it doesn't have one. For example, a new dryer may come from the factory with a newer four-prong cord, which you will need to replace with a three-prong cord. Similarly, if you have a four-slot dryer outlet but want to use an older three-prong dryer, it's usually a fairly easy matter to install a four-prong cord. Changing a dryer cord from a three-prong to a four-prong (or vice versa) is an easy project for most people. The process is relatively simple, and this is usually the best way to deal with a situation where your dryer cord doesn't match the dryer outlet. If you have very good skills as an electrician, you can also consider wiring a new outlet yourself, but you need good skills and an understanding of electrical systems. For most people, it is better to have a certified electrician or appliance repairman to do this installation.